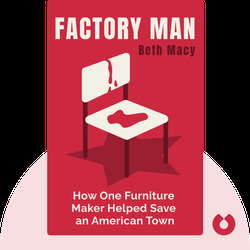 Factory Man unveils the dark side of globalization; that is, the horrific impact it has had on American business and the lives of factory workers. 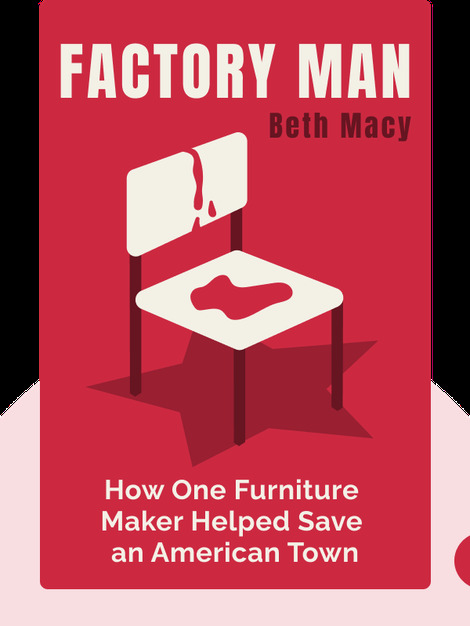 In its detailed examination of twentieth-century furniture manufacturing, it reveals how to fight against the death of the local economy and, more importantly, why this fight is worth it. Beth Macy is an American author and journalist who has won more than a dozen awards for excellence in journalism. As the daughter of a factory worker, she has devoted her work to the lives of regular people.